In Brazil there are three layers of inspection for meat and dairy products: municipal, state and federal. A product with municipal certification may be sold only within that locality, while state certification guarantees right of sale within the state and federal certification throughout the whole country. For small-scale producers, having federal certification is both expensive and unnecessary for their needs, but they can apply for permission to sell beyond the confines of their municipality or state via the SISBI-POA (Sistema Brasileiro de Inspeção de Produtos de Origem Animal, or Brazilian System of Animal-Origin Product Inspection). However, many of Brazil’s states have not yet signed up to the SISBI-POA, one such being Pernambuco. 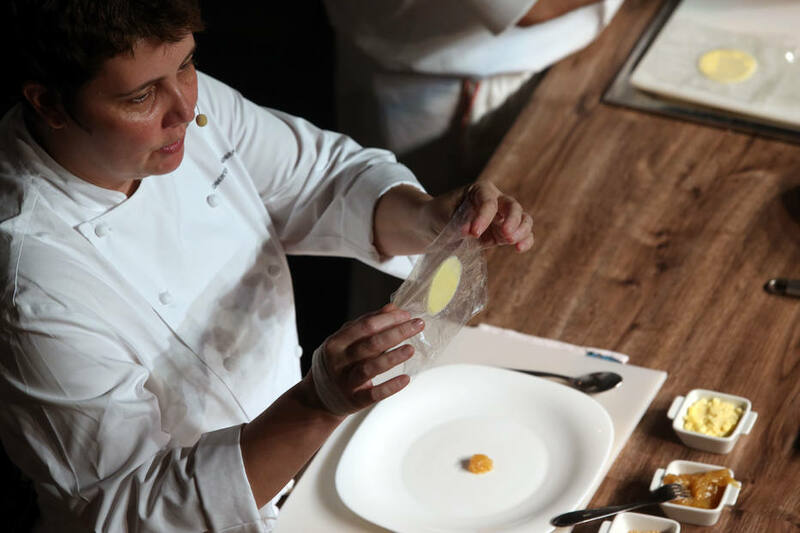 As such, when chef Roberta Sudbrack arrived in Rio de Janeiro for the Rock in Rio festival (September 15-24) with cheeses that had only a state inspection seal from Pernambuco, the authorities of the state of Rio de Janeiro duly confiscated and destroyed them. What’s interesting to note here is that, unlike all of the cheese present at Cheese 2017, these products were not even made with raw milk, and could not be perceived as posing any sort of health risk. Traditional Brazilian cheeses are produced with raw milk, and most of them may not be registered in any type of inspection because existing legislation in the majority of Brazilian states prohibits their commercialization. This prevents the producers from formalizing their activity, and remaining “clandestine”. Yet as we see here, even artisanal producers working to their best of their ability within the confines of the law are penalized by heavy-handed authorities who treat them as little more than a source of tax money. 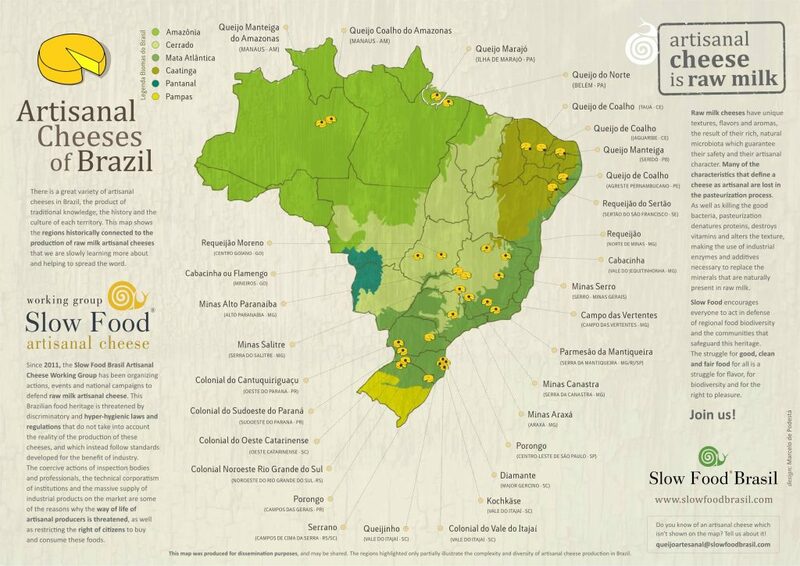 Slow Food campaigns around the world for the legalization and promotion of traditional artisanal cheeses, and after the success of the raw-milk-only Cheese 2017, hopes to see progress in the short-term future at the legislative level in those countries with a high number of cheesemakers and particularly restrictive laws, such as the United States, Australia and yes, Brazil.